We have learned that there are 2 types of waves: mechanical waves and electromagnetic waves. Mechanical waves need a medium (particles) in order to transfer the energy they are carrying. Electromagnetic waves do not need a medium (particles) in order to transfer the energy they are carrying. When a traveling wave hits a new medium in which it can not pass through, it is reflected. The wave bounces off of the medium and travels in another direction. On flat surfaces waves don't bounce off in just any direction, they bounce off of the medium at the same angle that it bounced on it. The angle in which the wave hits the medium is called the angle of incidence. The angle in which it bounces off is called the angle of reflection. This behavior is called the Law of Reflection. An irritating example of that would be when you pull out your mirror to reflect a light across the room into your friend's eye. It takes a little moving around, but you eventually find the right spot. You could also test the Law of Reflection in a game of pool, where you have to maneuver the Cue ball around opponent balls to pocket the shot! Sometimes a traveling wave hits a new medium and it does travel through it, but the new medium causes the wave to slow down or speed up as it enters. The change in the wave's speed will cause it to bend as it goes through. This behavior is called refraction. It is like running on the beach. When you are running through the air, you are able to pick up some speed. But what happens when you run into the ocean? Your speed slows down because you entered a new medium- water. An everyday example of refraction would be how a pencil looks broken in a glass of water. The light waves traveling through the air in the glass travel faster than through the water causing a broken or fractured look. Diffraction is the bending of a wave as it travels around the boundary of an object (or between two objects). The amount of bending depends on the size of the wavelength and the size of the opening it travels through. If the size of the opening is close to the wavelength (represented by the distance between these lines), then you will see more bending. 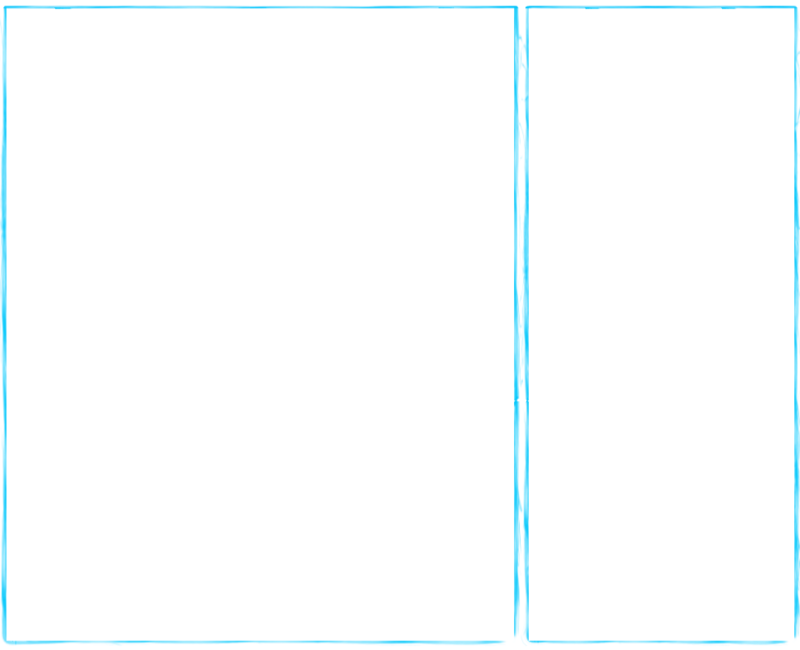 However, if the opening is a lot larger, you won't see as much bending. Waves are constantly running in to one another. When 2 waves meet, they create an interference. 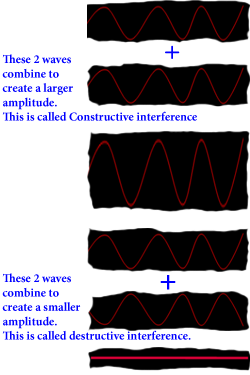 There are 2 types of interference: constructive interference and destructive interference.